Do you know how your vehicle insurance rates are influenced at the provincial level? The system which dictates your annual insurance renewal premium is influenced by several key players. The Financial Services Commission of Ontario (FSCO) regulates the insurance sector. Insurers apply to this provincial government regulator to change premiums, based on current market conditions. This involves a formal application process. The regulating body can approve, reduce the request, or deny approval from the insurers. The average price increase approved by the provincial government for auto policies is 3.35% when applied across the total market (FSCO, 2019). In the third quarter of 2018, the rate change approved was closer to 2.06% (FSCO, 2019). As 2019 begins, increased rates have been approved for 23 different insurers who collectively represent around 51% of the market based on volume (FSCO, 2019). Insurance brokers do not have an influence in this process, but can support consumers with valuable guidance on coverage and rates. Insurance companies base their prices on risk factors and the claims experienced in the marketplace. Distracted driving is one central risk factor which has been identified as the leading cause of vehicle accidents. Read our full blog post on this topic here. Insurers have recognized the dangers of distracted driving and increased penalties for inattentive drivers as a consequence. An additional trend influencing auto insurance rates in Ontario is an increase in claims cost for repairing vehicles. New vehicles coming onto the market are loaded with expensive electronics and other materials which are costly to repair. Aviva has also published the impacts of auto fraud on insurance rates across Canada - read the full report here. When an insurance company adjusts its rates for auto insurance, it means that company has experienced a change in the claims cost for that coverage. How Does My Insurance Broker Help? Your insurance broker has a deep and nuanced understanding of the regulatory conditions and industry-wide trends contributing to current vehicle insurance rates. This allows brokers to ask the right questions and make helpful changes for your unique situation. Additionally, insurance brokers sell insurance on behalf of a number of different insurance companies. This allows them to act in your best interests. Brokers can sort through the noise to help you find the best rate for the right coverage. Your broker is your trusted adviser, and they work with you and the insurance companies to find you the right coverage. What Should I Do To Better My Policy? If you are a current customer of McConville Omni, take a moment to review your current insurance policy. An expert on our team has built this policy with you, but there may be new information that we aren't aware of. This way we can identify any changes relevant to lower insurance rates. For example, a change of address, distance that you drive to work, or the addition of snow tires to your vehicle may help to lower your rates. Are you mortgage free or recently retired? You might also qualify for additional discounts on your property policy. Just having both your property and auto policies with us may qualify you for extra discounts! If you are a new customer to McConville Omni, we can provide you with a free vehicle insurance quote. For this quote, we require your personal information (address and contact information), your vehicle information (make, model, history, and VIN), driver's license number, and the licenses of any additional drivers on your vehicle. You can expect to see your vehicle policy rates influenced by each of these variables as well as your driving experience, past claim or accident records, and any aftermarket parts or modifications. Have questions about your vehicle insurance? If you are not sure what your vehicle insurance covers for the premiums you are paying, we invite you to talk to one of our insurance brokers today to get a free vehicle insurance quote. Motorists are advised to exercise additional awareness on the roads. 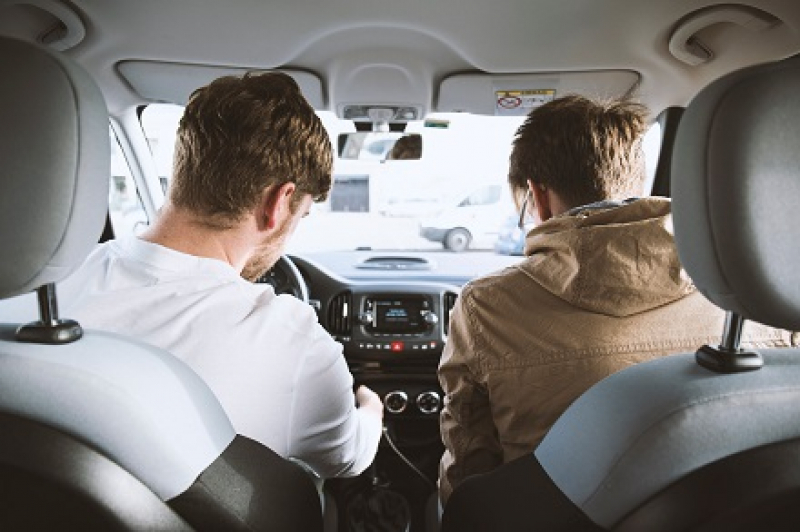 Changes to distracted driving fines in 2019 will have serious consequences for your insurance policy. Incidences of vehicle break-ins increase during the holiday season. Learn what to do in the high-stress situation of experiencing theft.